Logic dictates our cities should be flooded with small cars with automatic transmissions. There just isn't enough space to get anywhere in a hurry. Traffic jams are more a norm than an exception, and because our cities aren't very large, the distance we travel on a daily basis isn't colossal either; all of which work in favour of small cars and auto 'boxes. Logic, however, doesn't always prevail. Welcome to our cities packed with sedans and SUVs. There are plenty of small cars too, but hardly any with automatic gearboxes. A few years ago, automatics were a strict no for car makers because no buyer wanted one. Cost, fuel economy and the lack of understanding of such cars were all to blame. Today though, almost every manufacturer has at least one automatic model in their portfolio, particularly in the small car space. The new Indian motorist, it seems, is finally thinking logically. And the latest model to join the club is the Nissan Micra CVT. But, before it can script its success story, it must be able to hold its own against difficult competition. 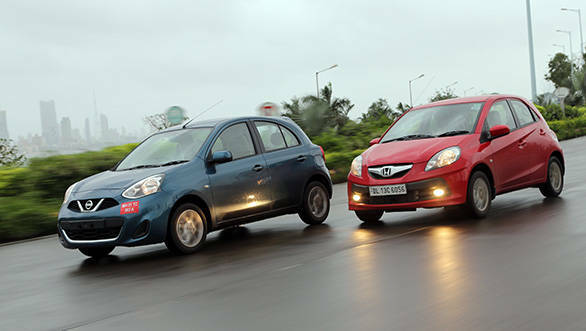 And the competition doesn't get any tougher than our champion in this class - the Honda Brio AT. The recent facelift has certainly given the Micra a bolder, plusher appearance. The new headlamp and the additional chrome on the grille and bumper make the new Micra stand out. 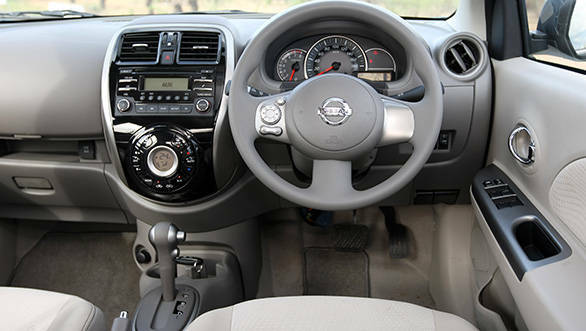 There are improvements on the inside too: the dash design looks more mature, the plastic all round looks better, and the use of gloss black instead of silver - on the central console, for the climate control interface and around the air con vents - make the new Micra's insides look plush. More equipment, plusher outlook and better visibility are Micra's strong points. The Brio is also a smart looking car, but it certainly could do with a very unique and noticeable rear end design. It looks smaller and less expensive than the Micra and on the inside, the plastic all round aren't very premium. It has less equipment compared to the Nissan - there's no automatic climate control, no electric fold for the mirror, no keyless entry and start, and lesser stowage all round. Brio interiors aren't as well appointed or upmarket looking as the Micra's. What we do like on the Brio are the seats. Be it up front or at the rear, these offer better cushioning and support than the ones on the Nissan. The driving position and ergonomics are better on the Brio too. And though the Brio has a smaller boot, space for occupants is comparable on the two cars. 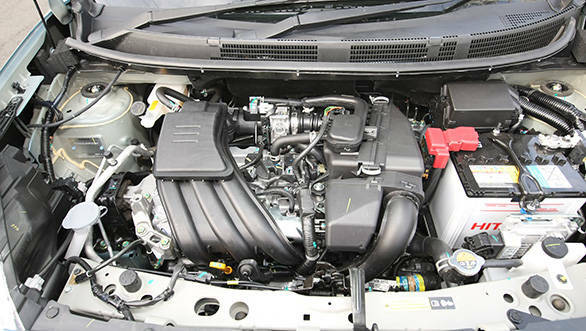 Both cars use 1.2-litre petrol engines; actually, their engine capacities are exactly the same. But the Brio uses a four cylinder layout while the Micra uses a three pot motor. 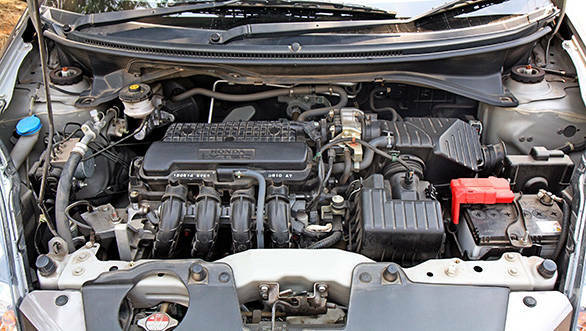 These are both refined engines, but the Honda makes more power and torque. That's not the only difference between the powertrains though. The Honda is coupled to a five speed torque convertor while the Micra uses a CVT. And the driving feel of the two, as a result, is vastly different. The Brio is more instant in its throttle response while the Micra's reactions are slower unless you drive it in Sport mode. But, even then, the CVT doesn't enjoy heavy footed driving. The drop in fuel economy is more dramatic than in the Brio, but more importantly because the CVT sticks to the optimum rpm for acceleration under full throttle driving, the noise just gets too bothersome. Now the surprising bit: the Micra even with lesser power and torque, and a lower power to weight ratio, still manages quicker acceleration times. It takes lesser time to complete the 40-100kmph run in kickdown as well. But that's not all. The Nissan managed to return slightly better fuel economy figure compared to the Honda in our city run as well. And the credit for this performance clearly goes to the CVT. It's amazing that a technology which has been the least popular in the automatic sphere among cars (though tremendously successful in scooters) in India, manages such efficient operation. Kudos to Nissan for persisting with this tech. The highway and overall FE figures for the Micra, nonetheless, do trail that of the Brio. What's more important for cars like the Brio and the Micra automatic is how they drive in a city rather than on the highway or around a switchback. But for those who are interested, the Brio is the better car in both regards. It rides better at higher speeds, and through deeper potholes and more pronounced or squarish bumps. The Honda handles better too. It communicates better with the driver, it turns into corners with more surety, and there's hardly any vagueness in its responses, especially when it comes to quick direction changes. It's certainly more involving to drive than the Nissan. 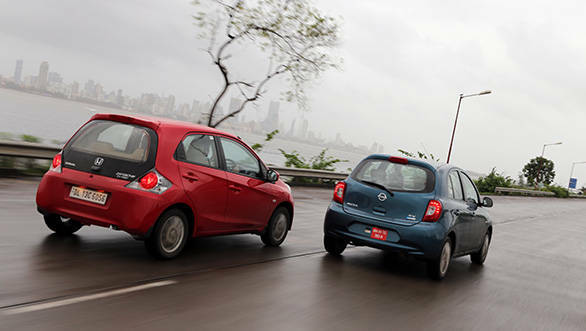 In the city, the Micra feels lighter to drive, but, the Brio isn't tedious either. We prefer the quick reactions of the Brio in the city as well. The Honda does feel firmer during the drive, but on our poor roads it's the setup we prefer over the Micra's. The Nissan is quieter and plusher at slower speeds and over mildly broken tarmac, but pick up speed or tackle badly broken sections and one can feel the suspension bottoming out, becoming noisy and feeling slightly lost in such a situation. The Micra has more equipment, better performance and driveability, and it's more practical too with a bigger boot and a friendlier cabin. 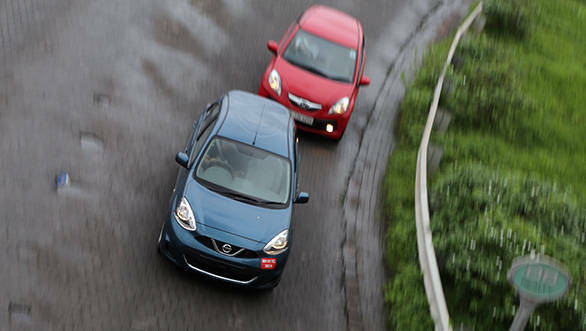 Less than Rs 30,000 separate the Micra CVT and the Brio AT, with the Nissan being the costlier option. 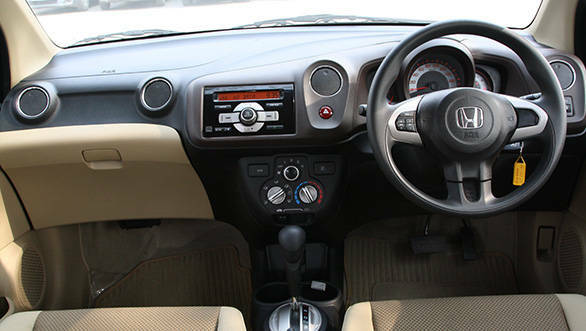 The Brio is also better to drive when it comes to handling, and it has more comfortable seats. But for a car which is going to live its life primarily in the city, it's more important that it be easy to drive and live with. This is where the Micra has an advantage over the Brio. It has a light steering, but better visibility and the CVT being seamless in its operation, further adds to the convenience factor. Then there are the tangibles that work in the Nissan's favour. The Micra has more equipment, better performance and driveability, and it's more practical too with a bigger boot and a friendlier cabin. And, it looks more upmarket on the inside too. So, if it's a convenient city roundabout you want, we'd recommend the Micra CVT.